I would like to feedback the service rendered by the bus captain. 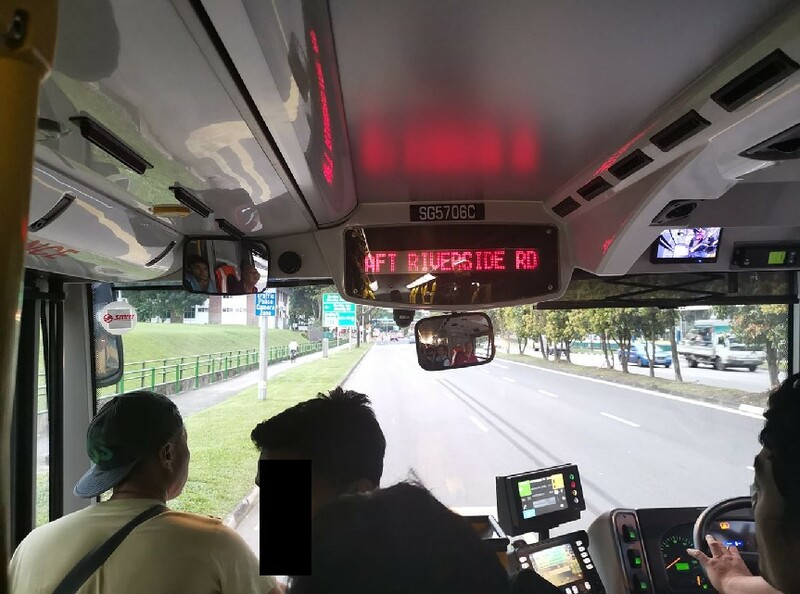 I boarded bus 856 towards woodlands interchange, on Tuesday (04/12/18) around 6:30 pm. The bus plate number was SG5706C. I brought along an e-scooter and folded it when boarding the bus. The bus was quite packed. I was standing while my e-scooter was folded without blocking the way. The bus captain attacked me verbally. 1) He told me that i should not bring along an e-scooter to board the bus. 2) He mentioned that he fought with others before and he was not intimidated. Thus, he said he was okay to argue with me despite whatever encountered he had in the past. I felt insulted as he was pinpointing my mistakes throughout the entire bus journey. When i was alighting before my destination to change to another bus, he still insists to scold me in a very harsh way. I then boarded another 856 bus. Im a very simple man trying to make ends meet and to put food on the table for my family. This is not the first time I’ve encounter this issue, previously i have entered 856 with the same bus captain and he did the same act to me. However, i choose to ignore it as i did not want to make such a big issue at that point of time but now he is taking this as an advantage and continue targeting and abusing his authority. I believe that a bus captain should have some respect to his passengers and treat them equally. Thank you for your time and attention on this issue. I trust that the above-mentioned bus captain is an exceptional case when on duty. I look forward to your reply. Next Article LOST CAT! ROBERSON QUAY ANY ONE CAN HELP?